At NaviWorld, we are successful because we have a well-rounded, experienced team, the best products available and the most effect implementation methods all to enable us to generate the greatest outcome on your business immediately. We realize the importance of ensuring that we deliver value, a strong partnership of commitment and seamless, quality solutions as the main criteria for a successful IT business solution implementation and adoption. We deliver value to our customers by understanding that our solutions are an investment with a multitude of benefits that differentiate us from the competition. After diagnosing the right solution with our clients, we keep our clients informed of our strategy, the products and implementation method that we will use to achieve our goals, our progress and our results. We create a suitable prototype technique, communication process and various testing methods to ensure that we maximize business process integration. Our approach to team staffing and organization creates a single, unified project team with clear roles, responsibilities, and the full range of skills necessary to deal with anything that might arise. The most critical and commonly overlooked aspect of integration is regarding the management that the new processes and systems will have on the business; this “change management” is our highest priority. We excel in educating, communicating, and creating a smooth transition that we manage throughout the integration process. We believe that our success in the marketplace is due in large part to the unique relationship that we develop with our clients. The professional relationship we strive for is one where we are truly partners so we share the risks, rewards and strive for an alliance that utilizes both of our teams and resources. Our team is dedicated to instilling knowledge, guidance and experience into your business as system adoption and understanding is the most critical part of any IT solution. Our experience with large scale information systems and technologies, business process reengineering, and organizational change projects has taught us that the results are achievable using an integrated methodology that exceeds other projects based on traditional methodologies. 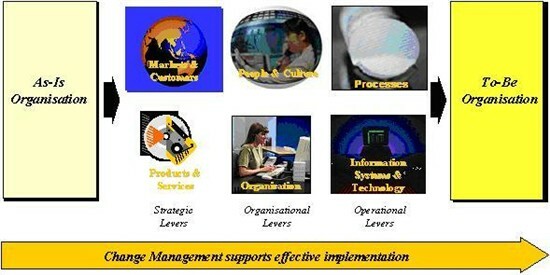 Our approach to many projects employs Microsoft’s proven “Sure-Step” methodology which is practiced globally. 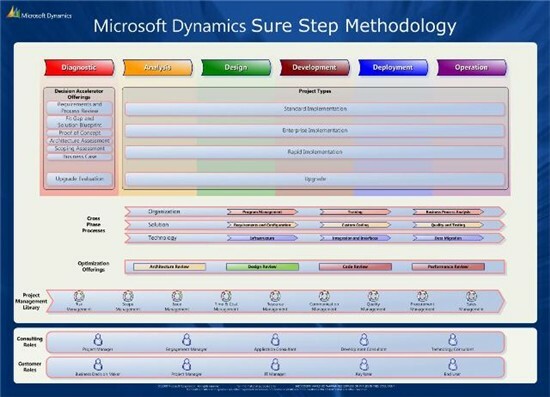 Microsoft Dynamics Sure Step is a full customer lifecycle methodology for all Microsoft Dynamics solutions, providing the Microsoft ecosystem with comprehensive sales through delivery guidance, project management discipline alignment and field-driven best practices. Sure Step is designed to enable the solution provider to better serve customers by helping reduce their Microsoft Dynamics total cost of ownership. Sure Step content covers the Microsoft Dynamics ERP and CRM suite of solutions, including Microsoft Dynamics AX, Microsoft Dynamics GP, Microsoft Dynamics NAV, Microsoft Dynamics SL, and Microsoft Dynamics CRM. The guidance, tools, templates and best practices provided in the methodology can help increase the consistency, timeframes, quality and success of Microsoft Dynamics engagements. The Sure Step Method has been tailored by NaviWorld as a standard approach to managing and implementing our projects. Based on years of experience and countless implementations, the Method outlines NaviWorld’s accepted techniques for estimating engagements, managing work tasks, and developing high-quality work products. We define a framework that ensures a successful implementation of a business wide solution and nothing less.